Like this recipe? 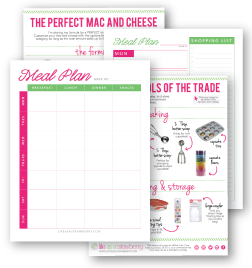 Don’t miss Mac and Cheese 101, my FREE online masterclass on all things mac and cheese! MAC AND CHEESE! It’s just the best. And I realized the other day that I haven’t posted a single macaroni and cheese recipe since the super-awesome Mac and Cheese Week that happened in 2012. As in, OVER A YEAR AGO. (Whoops). Let’s remedy that, shall we? It’s a nice, mild recipe perfect for sharing. Although it’s also perfect for eating all by yourself straight out of the pot while you stand over the stove. Whatever works for ya. Cook pasta in very salty water until it is al dente. Drain and set aside. In a large saucepan, melt butter over medium heat. When butter is melted, whisk in flour to form a roux. Let cook for 1-2 minutes, until roux has darkened. Add milk a little at a time to the roux, whisking well between each addition to beat out any lumps. Whisk until all milk is incorporated. Bring sauce to a simmer and cook, whisking occasionally, until it has thickened, about 8-10 minutes. When sauce has thickened, remove it from the heat and stir in cheese, spinach, salt, and pepper. Stir until cheese has melted. Toss pasta in sauce and serve immediately. Top with extra havarti cheese and fresh ground pepper if you'd like a bit of garnish. Tip: If cheese ever doesn't melt completely into a sauce or soup, zap it for a few seconds with an immersion blender to work out any cheese lumps and fake a perfect sauce! Ok! This looks amazing! I’m going to use Havarti dill instead of spinach and add the carmelized onion. Yum! Thank you for this recipe! 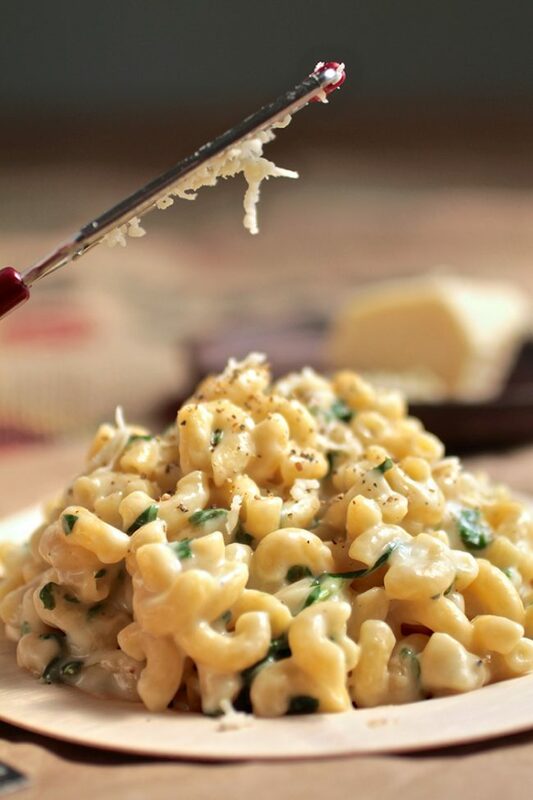 I’ve always wanted try mac’n’cheese, and it doesn’t even seem that complicated to make! It’s not complicated at all! 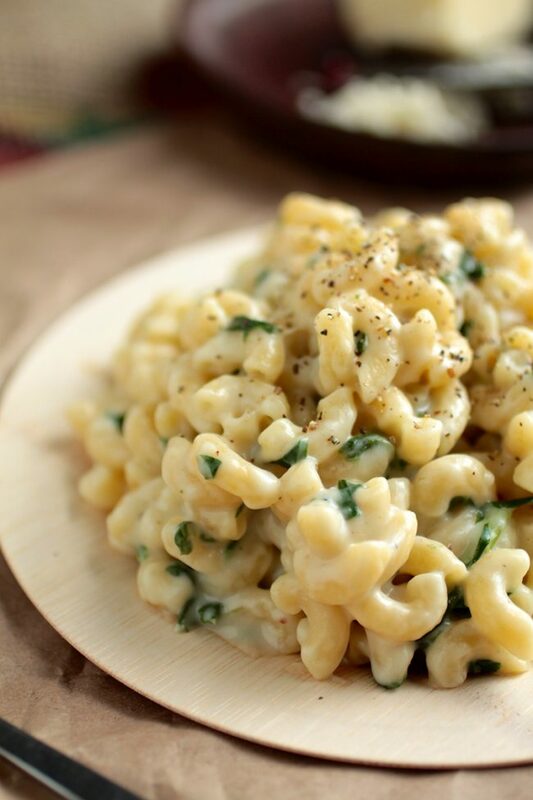 I definitely recommend giving homemade mac and cheese a try – there’s nothing better, in my book. Let me know how you like it if you try the recipe! This was a nice change from regular Mac/Cheese. onion and increased the green. I will make it again. Thanks for letting me know how it turned out – I’m glad you liked it! I love the idea of adding caramelized onions. Love this!!! going to feature it on Pineridge Hills this weekend……Now that I have found you I will be visiting again! 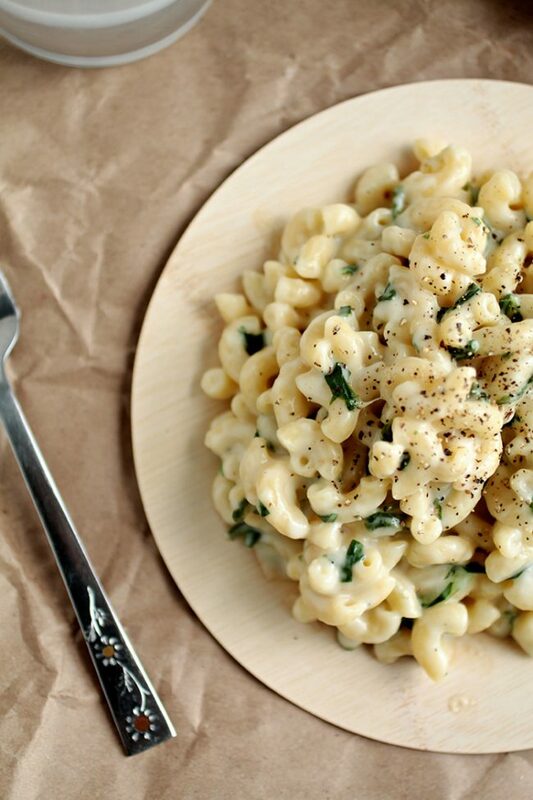 looks like a creamy cheesy mac and cheese!